All applicants must complete the application form appropriate to their situation; please refer to the criteria laid out below. If you are unsure if you fit the criteria, please contact us explaining your situation. 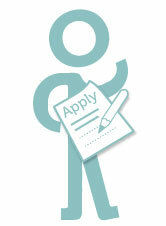 If your situation fits our criteria, we will then need you to complete an application form. If you have questions please do email our Administrator using the contact form. They will respond to your query and contact you for more information if required. 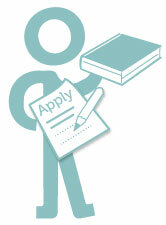 Your submitted application will be reviewed initially and if successful at this stage, references will be taken up. Once references have been received, your application will go to full assessment at the next Trustee meeting; these take place roughly every two months with meetings in March and July dedicated to student applications. Your application may be deferred to the next Trustee meeting if the Trustees feel they need more information. If your application is not successful we will notify you and explain the principal reason(s) for that. Please note applications from individuals or organisations based overseas without an affiliated charitable organisation or recognised sponsoring organisation in the UK will not be considered. Any request for funding must come within our charitable objects and our guidelines. Please read the guidelines provided. Relieve poverty, advance religion, promote education and do all such other things beneficial to the community as may be charitable under the laws of England and Wales. The Trust aims to support Christian individuals or organisations involved in ministry, education and training, sports, business development or other activities that support the advancement of the Christian faith in the UK or overseas. Our average grant is £2,000. Please look at our Partners page to find out what we have funded in the past, to give you an idea of our focus. 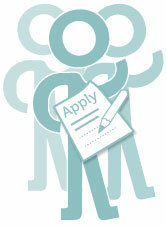 Individuals or organisations can apply to the John James Charitable Trust. If an organisation, you will need to be registered with the Charity Commission. We have 3 different application forms – one for individuals in ministry, one for organisations and one for those applying for support during training. Please click on the appropriate box for the relevant form. Please note the deadline for receipt of completed student applications is either 31 January or 31 May (for consideration at the Trustee meetings in March and July respectively).